In this unique dual autobiography, astronaut David Scott and cosmonaut Alexei Leonov recount their exceptional lives and careers spent on the cutting edge of science and space exploration. This book reveals, in a very personal way, the drama of one of the most ambitious contests ever embarked on by man, set against the conflict that once held the world in suspense: the clash between communism and Western democracy.Through the men's memoirs, their courage emerges from their perseverance in times of extraordinary difficulty and danger. I have to tell you.. I was never a history buff person in school. I think it had to do with the fact that you HAD to read it ..and you HAD to memorize all the dates and things that happened on the dates... I really was not into it. I mean, I did it... but it didn't make me a history nut. This book brought much of the feeling of history class back to me. Dates (which I did NOT memorize) and things that were going on in the world when these two men were being born and heading in the direction of becoming an Astronaut and Cosmonaut. For me there were times that I felt like NCIS when someone would get his head slapped. Wow.. I remember the Cuban Missile Crises very well. My brother was in the Air Force and his leave was abruptly canceled! And I certainly remember Kennedy's assassination ! So many historic things in my life time that were happening. When I first looked at this book I wondered if I really wanted to read an autobiography that also included a Cosmonaut, that I really didn't know. I don't know why I wouldn't since it was still about the race to the moon but it probably wasn't high on my list of reads. But finding out how Alexei lived his young life and even his life as a Cosmonaut... made me put this man on my list of hero's. He was, like it or not, the very first person to "walk in space". I have read a number of autobiographies of our original astronauts. And a few books like Moonshot (still my favorite ), and of course many movies and documentaries on the race to the moon. But other then saying who did what first I knew nothing of the Russians other than they were beating us for quite some time. This book opened that up somewhat with Alexei Leonov's autobiography included in the book. It was very well written . There would be pages on David Scott and then pages on Alexei about the same period of time. From when they were young boys and how they first got into the space program. I found it quite amazing what a hard, hard life Alexei lived through and how much he managed to accomplish in Russia. The basic story is one I know well because I lived through it... at least the American parts of it. Just the mention of Stalin and Khrushchev and Brezhnov made me have flashes of pictures of them on television. I have to admit.. I had all but forgotten about them. I really enjoyed the comparison of these two men's lives and America and Russia at that time. It reveals more problems that they had with the rockets and with their space ships that I knew nothing about. Maybe they told the public at the time and I forgot it or maybe they kept it discreetly quiet. David Scott nearly was killed and had that happened he would not have commanded Apollo 15 and been the seventh man to walk on the moon. In this time of our lives, when NASA is being cut off of government money and going back to the moon has been canceled, it brought back all my good feelings for our astronauts. I even cried when the Shuttle landed the other day when they announced it was it's last flight. I don't know why I feel so strongly that man should not slow down with space exploration, but it saddens me deeply. Do I know the money could be used to feed the hungry? Of course I do, but I sincerely believe its a matter of how the monies are dispersed. I believe the money is there to help the American people in whatever capacity is needed. And there is money to help other countries in times of crisis. And I believe in the space program with my whole heart and I do believe the money to go ahead with going back to the moon is there too. Maybe I'm a fool to believe that, but reading this book reminded me how much we need to reach out in space and hope that there are more answers out there then we even suspect. *Hope*..it's a word we need. I will admit that when I bought this book I wondered how it could possibley be any different from any other book talking about the space race? But it was an excellent combination of two autobiographies, and two views of getting to the moon. So.. if you are one who likes to read about the Space Race, I would highly recommend this book. Along with some old history lessons the story each man tells gives you a lot more insight to what really was going on. This book is a keeper. YA?Returning to the era of Arthur and his Camelot, Stewart has given life to two lesser-known characters from Malory's Le Morte d'Arthur. She enlarges upon and gives wonderful detail to Alexander, a young prince who sets off on a quest to avenge his father's assassination and to Alice, a gentle young lass who accompanies her father on pilgrimages to Holy shrines. Their stories are told in five alternating chapters until they meet, fall in love, and vanquish the foe in the exciting climax. Interwoven within the plot are background details on other characters and the complex legends of the period, especially evil Queen Morgan Le Fay, who detains Alexander for her own greedy purposes. A British map (same one several times) appears frequently to identify various locales, and one family tree assists readers, but there is no preliminary list of characters to help keep the participants in mind. The appended author's notes and the legend itself are interesting and help pull everything together once the story has concluded. Well, I finally read a book in a decent amount of time! Of course it wasn't a very large book, and that helped lol.. I liked this story. I have to admit I have read Mary Stewarts Merlin Trilogy (long ago) and like it and more recently read her story of Rose Cottage. She must have had a thing for Roses, since in the Prince & the Pilgrim the castle was called Castle Rose. I found the book quite interesting.. like the review above states it is about some lesser characters in the time of King Arthur but by doing so Arthur , Merlin, and Morgan Le Fay are all mentioned and Morgan is one of the characters in the book. It is two stories in one. One of Alexander and one of Alice. 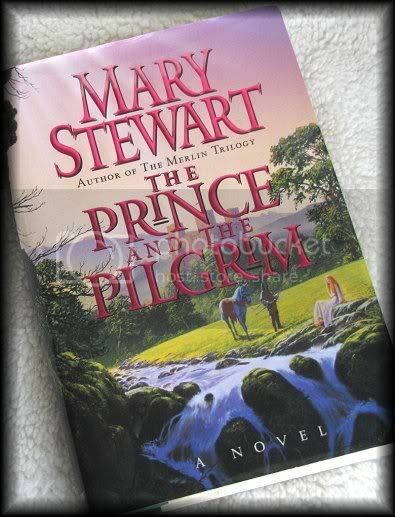 Toss in some castles and a bit of Cornwall and a little love and you have a book by Mary Stewart! So far all I have read of her's I've enjoyed and this was no different. If you want a book with a bit of the times surrounding Arthur this is a good book to read. It's not overly heavy with history and yet you get the feel of where and when you are. I don't think it's a book for everyone. I would call it light reading, yet just enough in it to keep you involved. It was a good book, and I'd recommend it to those who maybe want something a little different but not heavy duty or 600 pages long! Well.. I do have to agree with the Amazon review! Whew ! 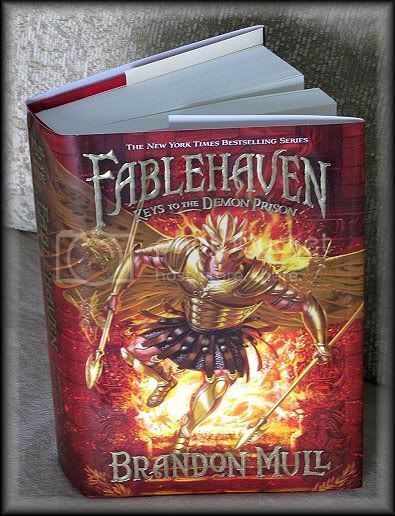 This was a "never a dull moment" final book to Fablehaven. I can safely say that Brandon Mull saved the best adventure with Kendra and Seth for last ! I was a little slow at the very beginning, but that was just me trying to remember where we left off .. having made new friends with a runt of a dragon. I'm sure you will be glad to hear that he returns in this book. It was a good collaboration of old and new characters. Grandma and Grandpa were not in this book very much but other familiar characters were. I especially liked the new character of Bracken who has more than one secret , but is a true friend and so much more. I don't want to give away the secrets as it's part of the excellent read of the book. If you have been reading the other Fablehaven books I can tell you that the last book will not disappoint! The sad part was at the very end of the book where Brandon Mull states that this is ,truly , the last book about Fablehaven. And so we say goodbye to Kendra and Seth and to the many Fablehaven adventures they have had. Thank you Mr Mull.. it was a very enjoyable series of books!